A trip to see the Transatlantic Sessions live on stage is like watching several different concerts in one. By combining wonderful musical talents from Scotland, Ireland and North America there is a bit of everything on offer, from the expected traditional folk and country to rock, blues, gospel and even jazz influences. 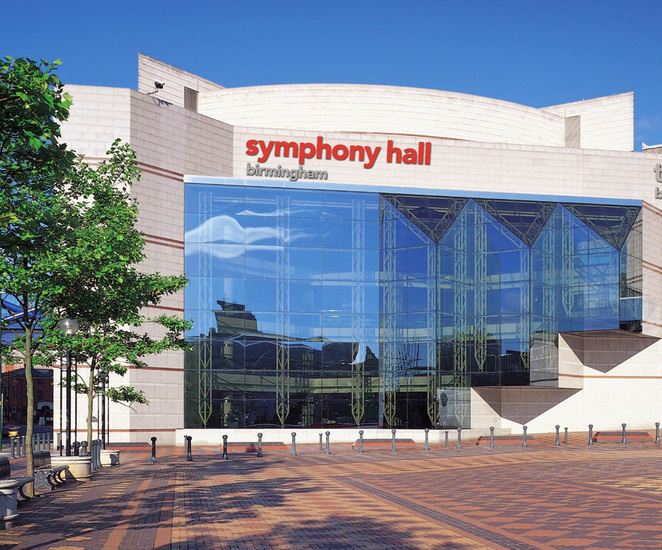 The only disappointment for the seemingly capacity audience at Birmingham's Symphony Hall is that it had to come to an end, but we still got to revel in two-and-a-half hours of fabulous music. 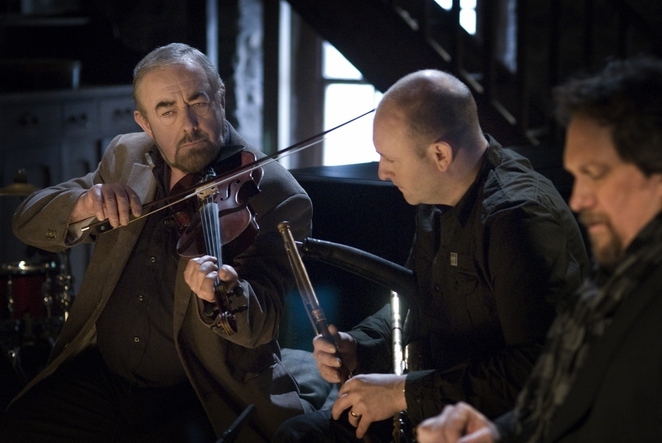 Transatlantic Sessions is a combination of top folk and country musicians from both sides of the Atlantic, which began as a series of half-hour television programmes on the BBC but has since gone on to result in occasional live stage tours around the UK. So it was that the 10-strong 'house band', led by founder members Aly Bain (fiddle) and Jerry Douglas (dobro guitar) from opposite ends of the pond, took to the stage in Birmingham. The collection of musicians comprising Phil Cunningham, John Doyle, Danny Thompson, Michael McGoldrick, Russ Barenberg, John McCusker, Donald Shaw and James Mackintosh sounded majestic on any tune or musical genre. 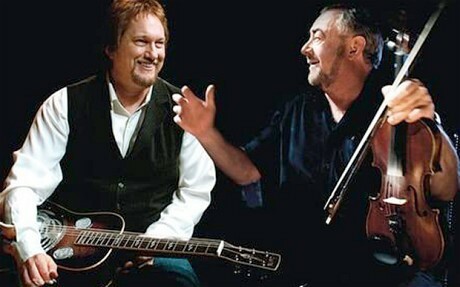 But they again featured a wonderful array of guest vocalists, including some "fresh faces" as Jerry Douglas put it. Regular guests consisted of Irish folk singer Cara Dillon and her Scottish counterpart Karen Matheson, who sang beautifully whether in English, Gaelic or Gallic, including Cara's haunting, unaccompanied rendition of The Winding River Roe. 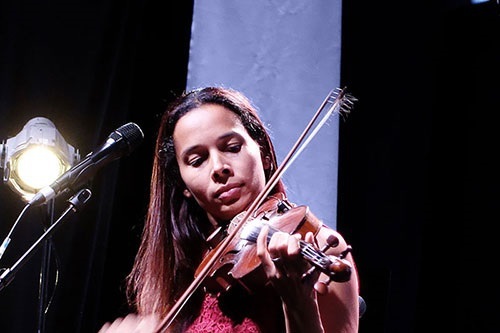 But, for me, the 'newbies' stole the show, in particular the amazing Rhiannon Giddens, founder member and lead singer of the Carolina Chocolate Drops. Her powerful voice and unabashed enthusiasm were equally evident on songs ranging from Julie, about a slave during the American Civil War, and Patsy Cline's She's Got You to an amazing high-tempo version of folk standard Black Is The Colour. And then we had Carolina banjo-playing singer, Joe Newberry, on songs such as The Cherry River Line, together with the youthful talent that is Los Angeles duo The Milk Carton Kids. They provided much of the humour that was evident throughout the evening, while also performing delightful harmonies including a great rendition of Pink Floyd's Wish You Were Here. Finally, it was encore time, with all the vocalists and musicians coming together to pay tribute to the late David Bowie by performing It Ain't Easy. 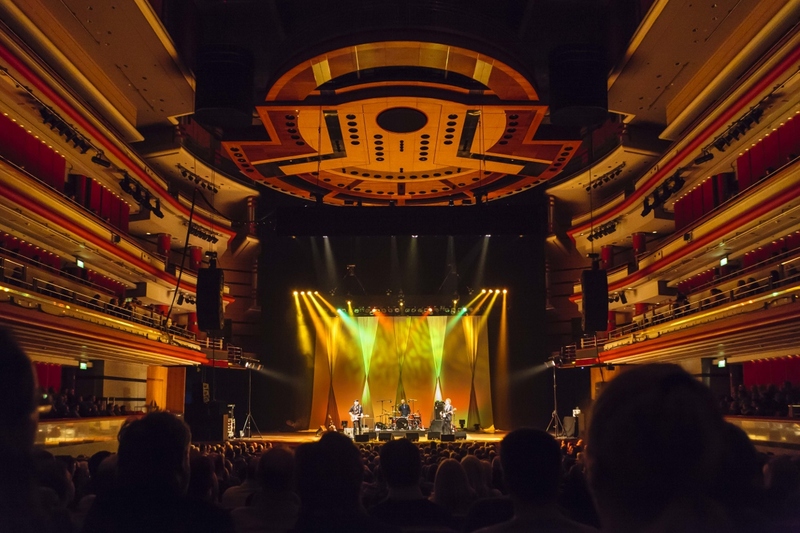 Make sure you catch the Transatlantic Sessions the next time they come around.